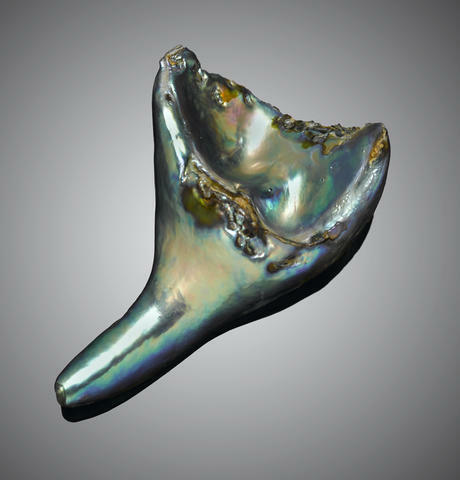 Rare and Exceptional Abalone Pearl–« The Blue Bird », Haliotis sp., Coastal waters of Baja, California Peninsula, Mexico. Estimate US$ 20,000 – 30,000 (€16,000 – 24,000). Photo Bonhams. « The abalone pearl is one of the most beautiful and unusual of pearls. An exceptionally large and fine abalone pearl, weighing approximately 187.34 carats. Superbly lustrous, its iridescence is exceptional in terms of all abalone pearls, and particularly that of large ones, which tend not to demonstrate gemmy qualities beyond a certain size. Abalone is a primitive univalve (one shell) mollusk at least thirty million years old. There are eight varieties found in various areas around the Pacific Rim. The present pearl was found by its owner while diving for abalone for dinner off the coast of a remote island located about 800 kilometers east of New Zealand. The blackfoot abalone, so called because of the dark black color of its foot, can grow up to 18cm in length and 13 cm wide. While it is often found close to the surface it may grow to depths of 30 meters, where seaweed grows in larger amounts—helping to nurture its colorful mother-of-pearl. The undulating grain in the shell is the result of seasonal fluctuations in the Abalone’s diet. The dark organic material of the conchiolin layers is laid down during the winter months and the nacre, made up of aragonite and calcite crystals, is laid down in the warmer summer months. In the mid-14th century, when the Maoris first arrived in today’s New Zealand with their canoes, no mammals lived on the island. Found in great numbers all along the coastline, the Paúa—with its appetizing and very ample flesh—became a staple fare for the Maori. Today it is still served as a sought-after delicacy, and there is increased demand for it in the Far East. Indeed it is the only mollusk which has a commercial usage in its entirety; the shell is used for inlay and buttons, the meat for food, and the guts for fishing bait. Rare Natural Pearl, Pteria species, Coastal saltwaters of Baja California Peninsula, Mexico. Estimate US$ 75,000 – 95,000 (€60,000 – 76,000). Photo Bonhams. A rare saltwater oyster pearl with a classic drop-shape allowing it to be mounted as a pendant, the present pearl is very rare due to the exceptional size of nearly 13 carats. 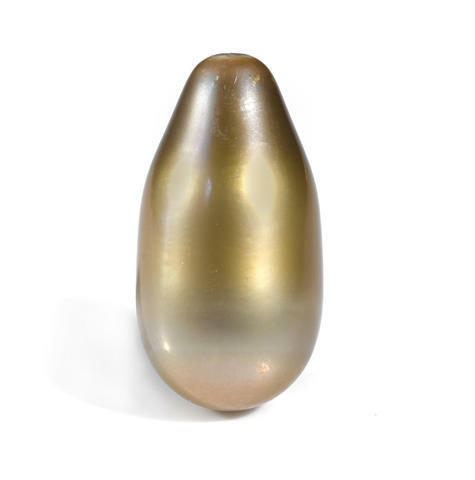 The exquisite shape and the beautiful grey to pinkish bronze color with pinkish overtones makes this a desirable pearl. The size in particular makes it rare as the vast majority of Baja pearls do not even reach 1 carat in size, undrilled. Accompanied by a Gemological Institute of America report numbered 215667003 dated October 8, 2014 stating that the 12.73 carats pearl is natural, saltwater, with no indications of treatment. Large Natural Pearl, Pinctada margaritifera, Sea of Cortez, Baja California, Mexico. Estimate US$ 75,000 – 95,000 (€60,000 – 76,000). Photo Bonhams. Bouton-shaped with a high dome and suitable for mounting as a ring or pendant, this fine natural pearl displays a bluish-gray color. A saltwater pearl originating from a black-lipped oyster, this is an exceptional classic for this region. It is particularly rare, as the vast majority of Baja pearls do not even reach 1 carat in size and this one weighs nearly 17 carats, undrilled. Accompanied by a Gemological Institute of America report number 215667000 dated October 8, 2014 stating that the 16.93 carats pearls is natural, saltwater and that it shows no indications of treatment. Rare Suite of 45 Quahog Pearls, Mercenaria mercenaria, Northern Quahog clam species, Coastal waters of the North Atlantic. Estimate US$ 250,000 – 300,000 (€200,000 – 240,000). Photo Bonhams. Described by Linnaeus in 1758, the quahog pearl does not come from an oyster but rather a thick-shelled edible member of the clam family. It is estimated that only 1 in 100,000 Quahog clams actually produce a pearl of any kind. Before its use in jewelry the Quahog was used as the nation’s first domestic currency. The Wampanoag tribe used a medium of exchange called wampum which consisted of beads made of the shell of the Quahog bi-valves. The present suite was painstakingly collected by its owner over a period of three decades. 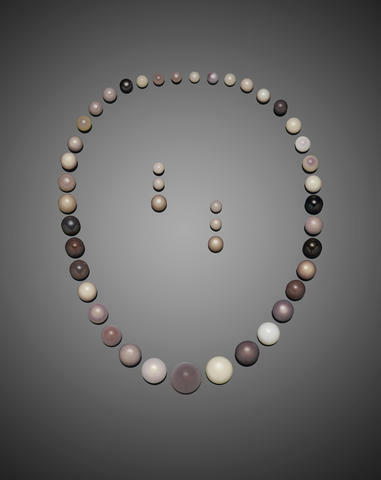 The forty-five pearls show the range of hues in which these pearls can be found from deep aubergine to violet, lavender, purple, cream, ivory and white with the largest weighing approximately 22.75 carats and measuring 16.5 x 11.5 mm. The suite includes six pearl which could be mounted as a pair of earrings. This is an extraordinary suite of non-nacreous pearls which represents a lifetime of collecting and a unique offering at public auction. (45) Total weight approximately 242.29 carats. 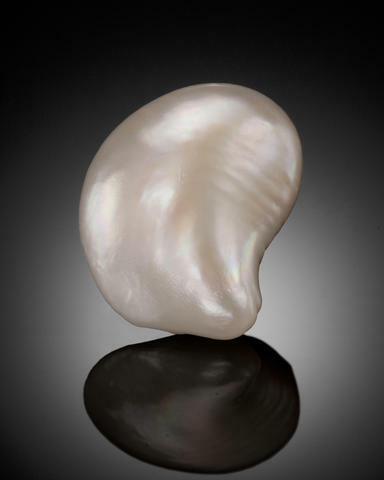 Large Rare American Natural Pearl, Unio species, Mississippi Pearl. Estimate US$ 20,000 – 30,000 (€16,000 – 24,000). Photo Bonhams. 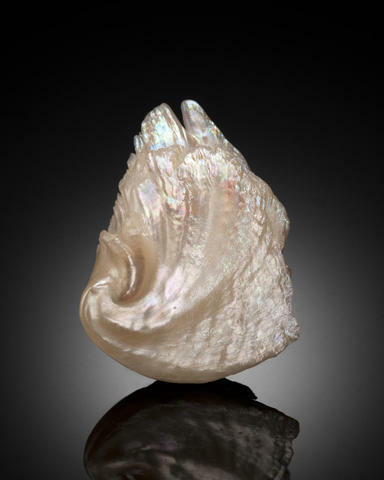 The exceptional luster of this natural freshwater river pearl renders it an outstanding offering. A pink and green orient can be seen hovering over the fine white body color of the exquisite baroque shape, undrilled. 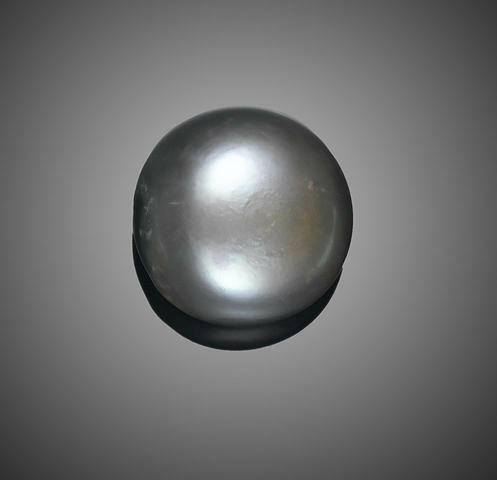 Accompanied by a Gemological Institute of America certificate stating that the 29.97 carats pearl is a natural freshwater pearl with no indications of treatment. Rare American Natural Pearl, Mississippi River. Estimate US$ 20,000 – 30,000 (€16,000 – 24,000). Photo Bonhams. Accompanied by a Gemological Institute of America report number 11176972 dated June 8, 2000 stating that the 25.50 carats (102.0 grains) pearl is a natural freshwater pearl. LOS ANGELES, CA.- This festive season at Bonhams is sure to attract those looking for that unique holiday gift. The top highlight of the upcoming Gems, Minerals & Lapidary Works of Art and Natural History Auction on November 23 is “The World’s Largest Polished Garnet” and Diamond Egg Creation. The luxurious gemstone carving by Manfred Wild, has an estimate of $300,000-400,000. Possibly considered the finest and most striking of Wild’s egg creations, the exotic-looking object is carved from an immense rough garnet discovered in Orissa, India, weighing approximately 5,696 carats, and possesses the deep hue of a fine claret wine. It opens up to reveal a diamond-set cross of 18K gold and platinum, mounted on both sides with a total of 456 diamonds. Beneath the egg is an 18K gold « crown of thorns, » which acts as a collar. When turned, it serves to open and close the egg. 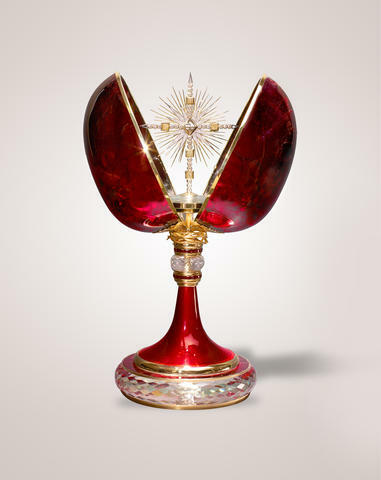 Additional offerings include Christmas-themed objects, the most remarkable of which is an illuminated music box carved of rock crystal, diamonds and aquamarine, dubbed “The Winter Palace”, estimated to bring $200,000-250,000. 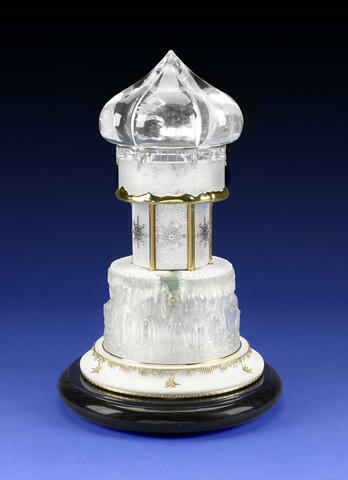 The unique features of this piece include a Russian onion-domed palace tower carved of highly-transparent rock crystal. An aquamarine key turns to activate the electrified music box so that the multiple doors of the palace open to reveal a magical interior of wintry scenes complete with an 18K gold “snow-covered” Russian “dacha” and pine trees encrusted with diamonds. 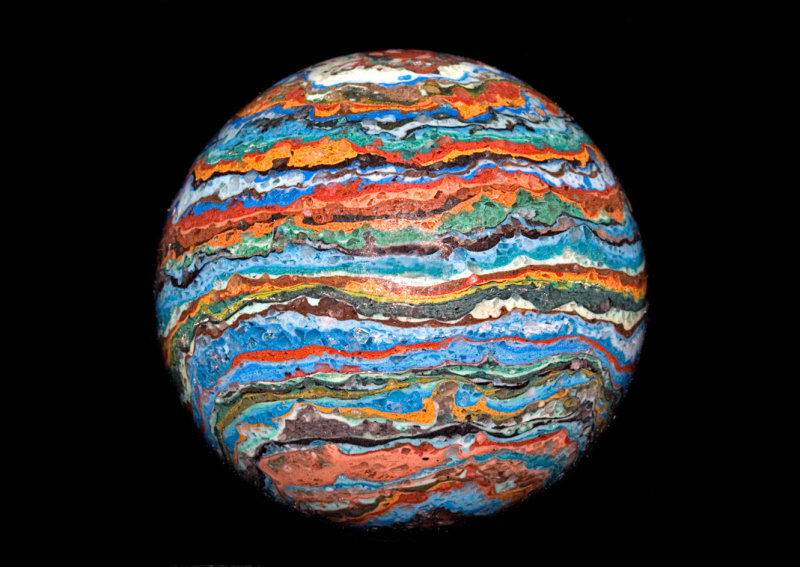 Manfred Wild, who has followed in his family’s tradition of gemstone cutting since 1630, is arguably one of the most renowned lapidary artists and creators of “objets d’art” to emerge from Idar-Oberstein, Germany. He is best known for his virtuoso work in rare, precious and semi-precious materials carved as perfume bottles, animals, whimsical figures, flower studies, enameled eggs with concealed « surprises », cameos and “objets de fantaisies” made of precious stones, gold and silver. Wild also follows the traditions established by René Lalique and Peter Carl Fabergé (Russian jeweler, 1846-1920), and a great number of parallels can be seen in their work. The 396-lot auction also includes a section on the rarest types of natural pearls such as quahog, abalone and conch pearls, extraordinary un-mounted collector’s gemstones as well as the “100 Carat Club” collection of large gems. The mineral section features dozens of specimens from the Estate of Carey A. Parshall, Stamford, CT with an emphasis on Moroccan and Mexican examples. Headlining the Natural History section is the oddly charming and authentically complete taxidermic mount and skeleton of a two-headed calf, estimated to fetch between $50,000-60,000. 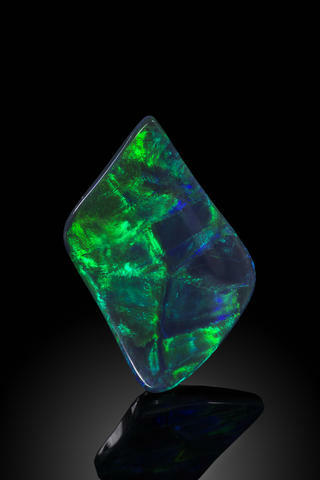 On the following day, November 24, Bonhams will hold the World of Opals Auction, the fourth annual event of its type. Presenting 122 lots of un-mounted opals, objects carved of opal and opal jewelry in various colors from world localities, many of which will serve to surprise and entice collectors. The auction has a heavy emphasis on rare black opals from Lightning Ridge, Australia – a region famed for having the largest known black opal deposits in the world. 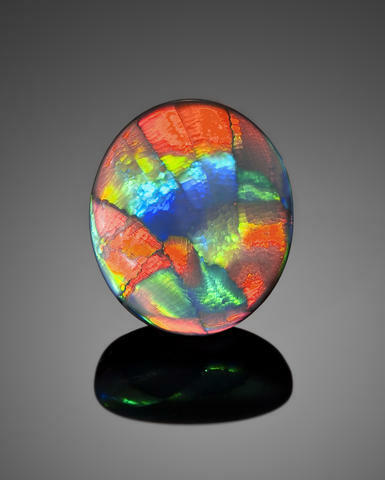 Highlights include an exceptionally rare black “nobby” opal with vivid color (est. $65,000-85,000), a rare black opal with a “ribbon” pattern, named “Desert Sands” (est. 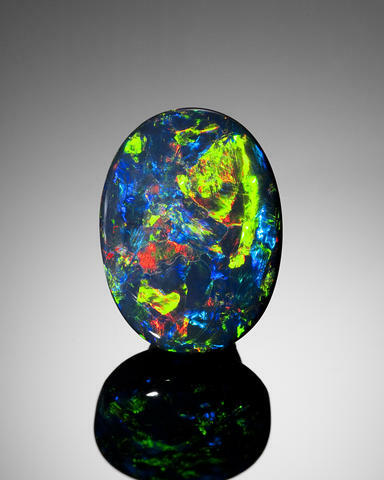 $45,000-65,000) and a glowing blue-green on black pattern opal named the “Peacock Opal” (est. $50,000-60,000). Exceptional and Rare Black Opal, Lightning Ridge, New South Wales, Australia. Weighing approximately 25.11 carats and measuring 23.5 x 17.5 x 9.0 mm. Estimate 65,000 – 85,000 (€52,000 – 68,000). 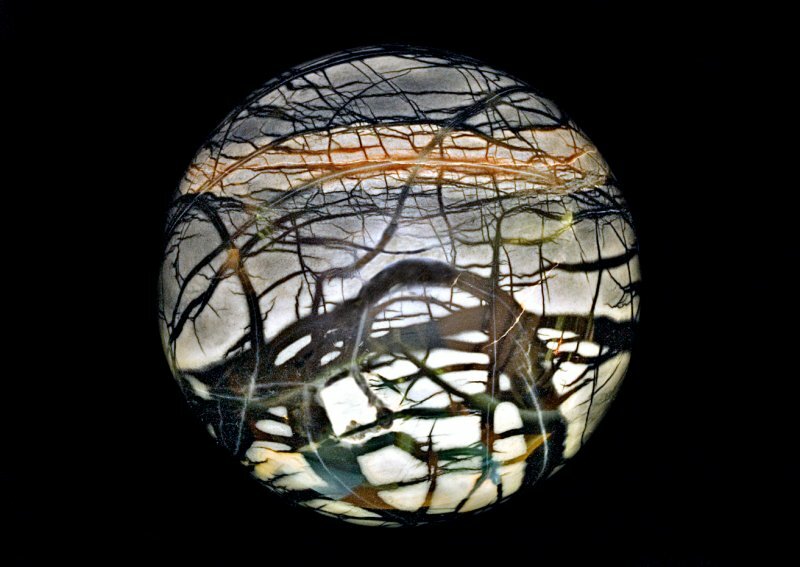 Photo: Courtesy of Bonhams. Rare Black Opal with « Ribbon » Pattern–« Desert Sands », Mulgah Rush, Lightning Ridge, New South Wales, Australia. Weighing approximately 12.35 carats and measuring 18.5 x 16.0 x 6.0 mm. Estimate 45,000 – 65,000 (€36,000 – 52,000). Photo: Courtesy of Bonhams. Spectacular Blue-Green on Black Pattern Opal–« The Peacock Opal », Lightning Ridge, New South Wales, Australia. Weighing approximately 33.80 carats and measuring 43.0 x 30.0 x 4.0mm. Estimate 50,000 – 60,000 (€40,000 – 48,000). Photo: Courtesy of Bonhams. 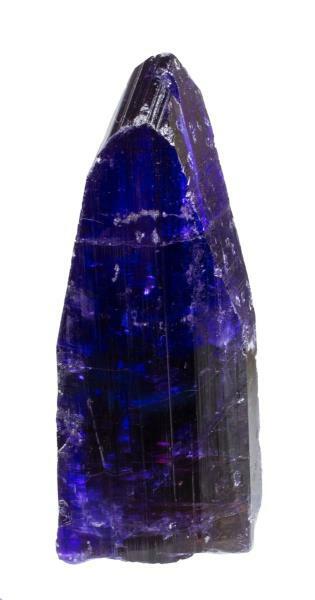 Tanzanite crystal, Merelani Hills near Arusha, Umba Valley, Tanzania; 257 grams, from a private collection. Est. $100,000-$125,000. Morphy Auctions image. DENVER, PA.– Geological treasures of every imaginable color and origin will take the spotlight on Saturday, November 8, as Morphy’s presents an eye-filling 116-lot auction of rare minerals. In addition to gallery bidding, all forms of remote bidding will be available, including absentee, phone and live via the Internet. The anticipated top lot of the sale is Lot 10, a spectacular 257-gram Tanzanite crystal. Found in the Merelani Hills region near Arusha, Umba Valley, Tanzania, the intense blue-purple specimen is a true rarity with perfect proportions culminating in a sharp, chiseled determination. Previously in a private collection assembled by a gem broker in Arusha, this crystal was sold to an investor a few years ago. “Tanzanite crystals only come from one place in the world, a mine complex that is already past the 1.5-kilometer depth mark,” said Morphy Auctions president, Dan Morphy. “The mine is still going, but there’s a limit, and access to Tanzanite crystals like the one in our sale will eventually end.” Measuring 10.9 by 4.7 by 3.5cm, the crystal is estimated at $100,000-$125,000. 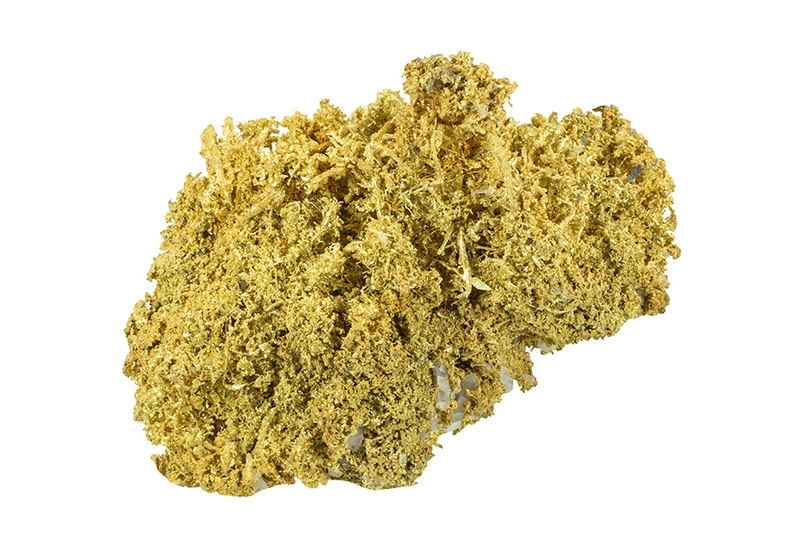 Another geological beauty that’s expected to land in the money is Lot 102, an important, 100-percent natural gold specimen from Boise County, Idaho. It was found with a metal detector in 2008 at the old dumps of Belshazzar Mine. “Crystallized gold from this locality was barely known until this find,” Morphy noted. After this particular specimen’s discovery, the Belshazzar Mine area became known as one of the top US locales for gold in crystal form. The piece has been assayed by specific gravity at 19.35 ounces of pure gold content out of 24.56 ounces of total weight, including the matrix rock. 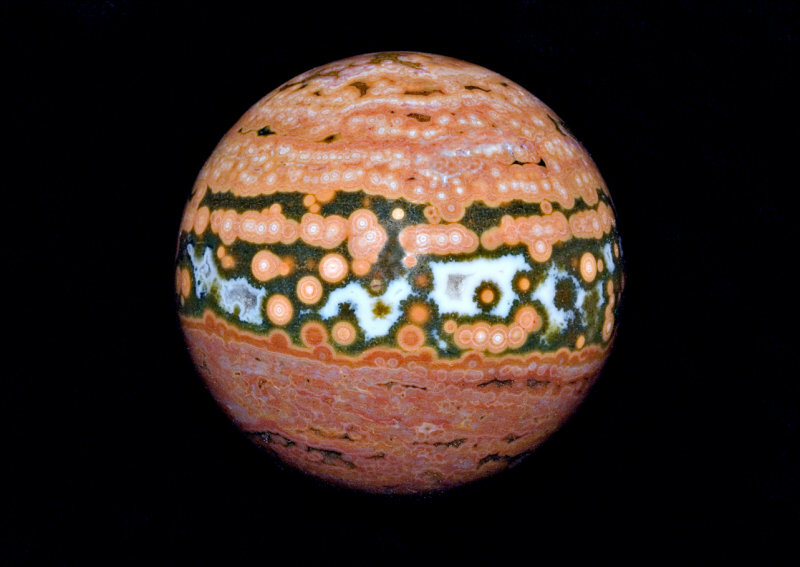 Of investment grade and measuring 10.8 by 7.7 by 6.7cm, it is expected to sell for $80,000-$110,000. Gold specimen, Belshazzar Mine, Boise County, Idaho; 24.56 oz total weight / 19.35 oz pure gold content, ex Jack and Judy Farnham collection. Est. $80,000-$110,000. Morphy Auctions image. This important gold specimen is from a small, unexpected 2008 summer find by a geologist with a metal detector working the old dumps here. Only a half dozen specimens were found of any size, and this was reportedly one of the largest and most aesthetic of those pieces. It has been long kept in the private collection of the broker who sold all the specimens found. Unlike some others, this specimen has no repairs or restoration and is 100% natural, crystallized gold. Crystallized gold from this locality was barely known, until this find, which catapulted the locality to one of the top USA locales for gold in crystal form (crystals being much rarer in nature in general by a factor of 1000, and thus priced accordingly compared to rather more common nugget gold). The crystals here are elongated wires, twisted and grown one upon another to form a huge weighty mass. The gold is anchored into a small amount of host rock (matrix), as well – nice for display and stability purposes. This is a significant specimen worthy of any institutional collection or top private collection. It was assayed by specific gravity at 19.35 ounces of pure gold content, out of 24.56 ounces total weight including the matrix rock. Together with the beauty, the size and location make this an important, investment-grade specimen. No further golds have been found at this location since 2008, despite obvious searching. The specimen comes on a custom display base of lucite. (Full dealer provenance details will be given in full upon sale). Consigned from a private collection in Louisiana: The Farnhams were noted for their large collection consisting entirely of classic USA localities in large sizes. Lot 9, a large, chrome-green emerald sourced at the Muzo Mine in Colombia, exhibits a radiant, intense color and is described in Morphy’s catalog as “translucent and brilliantly sparkling…great cabochon material for the jewelry trade.” Most emeralds of its size and weight (crystal: 3 by 2.7 by 2cm; overall 6.8 by 6.1 by 4.3cm, 174 grams) would have been cut, but this particular gem was saved and became part of the Dr. Marvin Rausch collection. Its estimate is $30,000-$40,000. 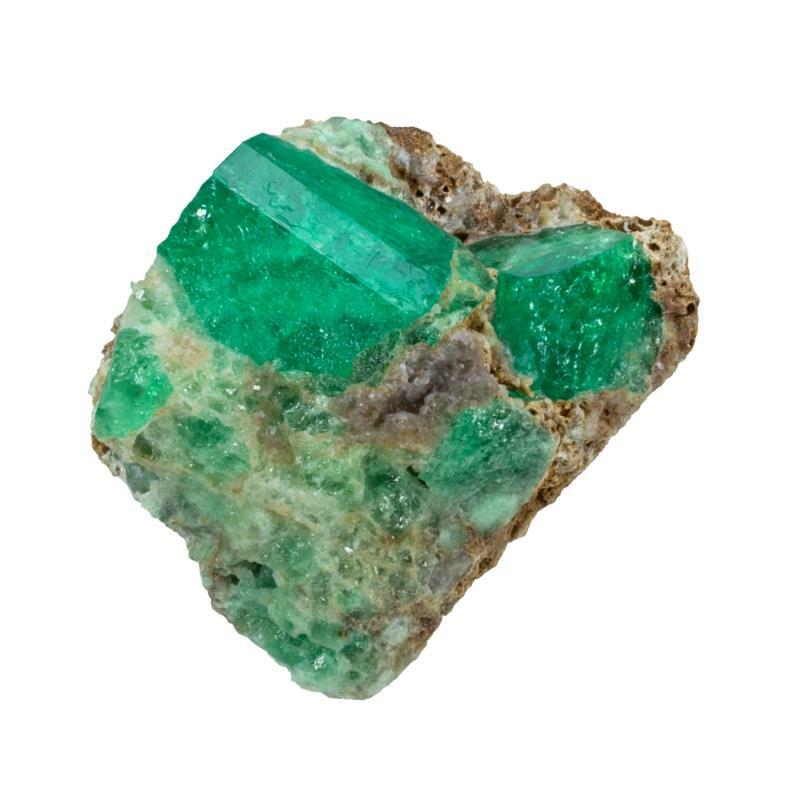 Emerald, Muzo Mine, Boyaca Dept., Colombia; ex Marvin Rausch Collection. Est. $30,000-$40,000. Morphy Auctions image. Emeralds (chrome-green beryl) of this size are very rarely found in the famous emerald mines of Colombia, and even more rarely do they survive to market as specimens rather than as cutting material. These crystals, with radiant , intense color, are not gemmy. They are , however, translucent, and brilliantly sparkling. 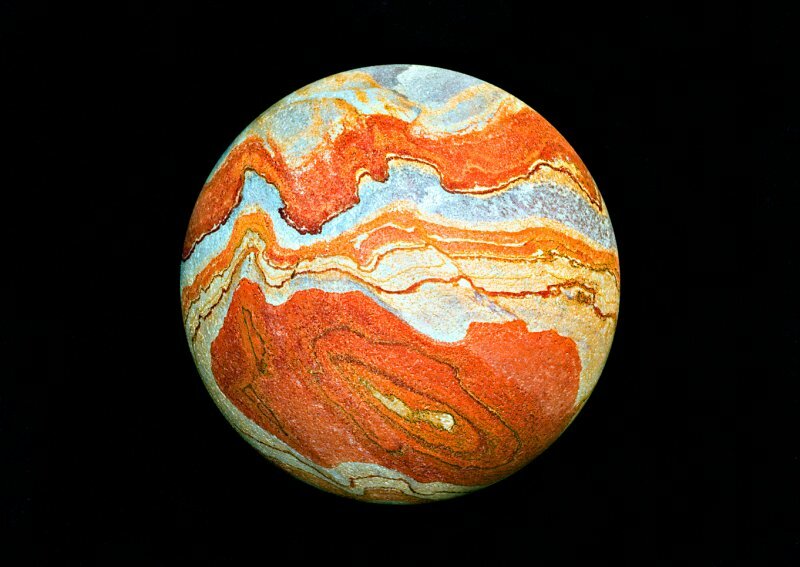 They would make great cabochon material for the jewelry trade. Most such pieces like this, would have been cut. This one was saved as part of the large collection of Dr. Marvin Rausch, of Amherst, Massachusetts. 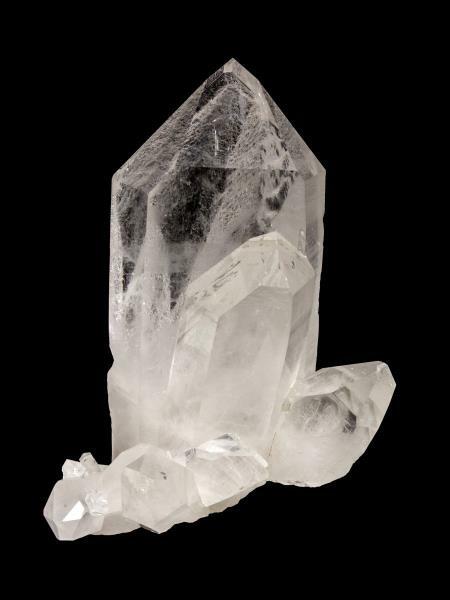 It features a dominant large crystal measuring 3 x 2.7 x 2 centimeters in size. Overall, the specimen is 174 grams. It can be displayed from a number of angles. Size 6.8 x 6.1 x 4.3 cm. From the Shigar Valley of Gilgit, Pakistan, comes Lot 101, a fine-quality aquamarine with an intensity, clarity, brilliance and transparency that puts it among the top percentile of specimens ever found at that locale. “This is truly a special piece. It’s so sharp and clean that, at first glance, it looks faceted rather than natural,” Morphy said. Weighing 98 grams and presented on a custom display base, it is entered in the sale with a $25,000-$30,000 estimate. Aquamarine, Shigar Valley, Gilgit, Pakistan; ex Schertz Collection. Est. $25,000-$30,000. Morphy Auctions image. The traditional birthstone for March! Aquamarine (blue beryl) from Pakistan is readily available on the market. 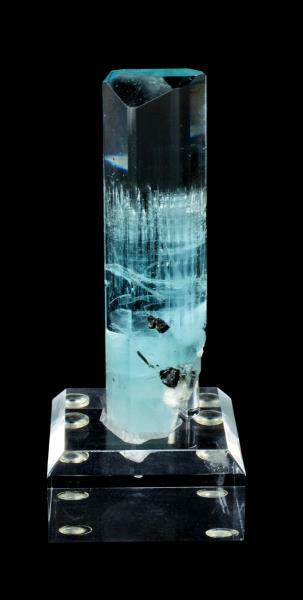 However, specimens of top quality aquamarine, with stunning intensity of color combined with a clarity and transparency that are among the top percentile of what has ever been found here, are rare indeed. This specimen, which is so sharp and clean that it looks faceted rather than natural, on first glance, is such a piece. In person, it has a brilliance and glow to it that does not translate well into the photo. It is simply among the finest examples of an aquamarine, in this size range, from this classic locality. It has small crystals of jet black, lustrous schorl (black tourmaline) by way of accent. Production here has actually tapered off considerably since its peak in the 1990s and early 2000s, and China has purchased the mineral rights to large tracts of land in his region. Many of the finest crystals also now go to China first, for their growing market in collectible gems. This specimen is 98 grams, and comes with a custom display base. Size 10.1 x 3.1 x 2.7 cm. One of the finest gems in the sale is Lot 44, an amethyst found in Las Vigas de Ramirez, Veracruz, Mexico. A major specimen for that locality, it weighs 1,890 grams and features glassy, intensely colored purple crystals up to 4.5cm in length. Undoubtedly older and with provenance from the Schertz collection assembled in the 1980s-1990s, the 17 by 15.7 by 14.5cm amethyst is estimated at $20,000-$25,000. Amethyst, Las Vigas, Veracruz, Mexico; ex Schertz Collection. Est. $20,000-$25,000. Morphy Auctions image. This is one of the finest pieces in the auction, in terms of what is on the modern market. 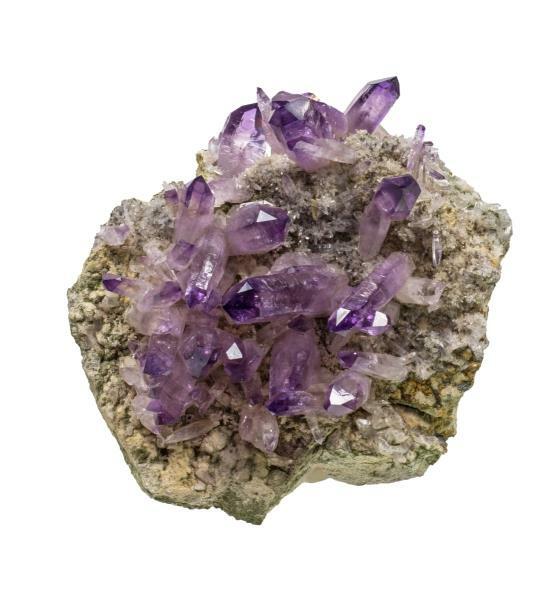 Amethyst (purple quartz) from Las Vigas occurs in small pockets scattered throughout the nearby mountainous terrain. Few large plates are ever recovered in perfect condition, such as with this piece. It has no damage, no repairs, and with intensely colored and glassy crystals to 4.5 cm in length, it is a major specimen for the locality. 1890 grams. Similar pieces have sold recently for record prices, and one has to see this in person to understand why by viewing how fully beautiful and three-dimensional it is. No other locality produces amethysts quite like this. While it is impossible to tell when this came out of the ground, it is undoubtedly an older specimen and the private collection it was from, was assembled in the 1980s-1990s. This example is similar to a piece that sold for 70k at auction! Size 17.0 x 15.7 x 14.5 cm. 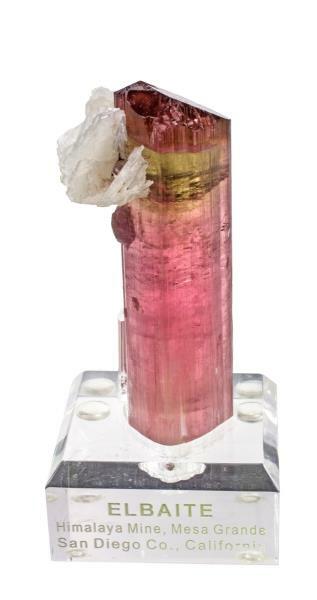 Other highlights include Lot 98, a massive 25-lb quartz crystal from Diamantina, Minas Gerais, Brazil, ex Schertz collection and estimated at $12,000-$15,000; and Lot 3, a 106-gram tourmaline, ex Bill Larson collection and Farnham collection, sourced at the Himalaya Mine, Mesa Grande, California, and estimated at $6,000-$9,000. 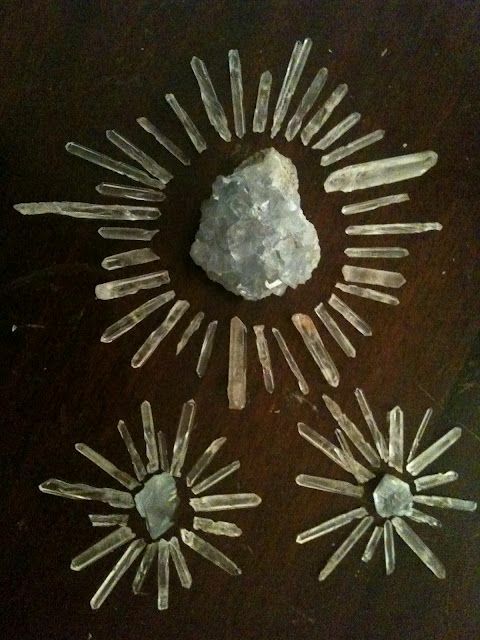 Quartz, Diamantina, Minas Gerais, Brazil; ex Schertz Collection. Est. $12,000-$15,000. Morphy Auctions image. Tourmaline, Himalaya Mine, Mesa Grande, San Diego Co., California; ex Bill Larson Collection, ex Farnham Collection. Est. $6,000-$9,000. Morphy Auctions image. This old mine, which dates back to the 1890s, experienced a heyday of specimen production under the mining program of Pala Intl (dealer/collector Bill Larson’s company) in the 1980s and 1990s. It was the foremost gemstone locality in the USA in 1900, and an argument could be made that it retained that status for the whole century, of on and off mining here. The mine has slowed production considerably and changed management. During the glory years at the mine, a large collection was assembled at the company store, which sold; and at the home of the owner. This piece is from that personal collection (sold to the present owner in the early 2000’s), and represents the finest caliber of a Himalaya tourmaline: sharp termination with unusual quality of glassiness to it, association with white cleavelandite blades, luster, multiple colors with alternating pink and green. Moreover, it is pristine and doubly-terminated, complete all around. The specimen comes with a custom display base. It is 106 grams. Consigned from a private collection in Louisiana: The Farnhams were noted for their large collection consisting entirely of classic USA localities in large sizes. Size 8.7 x 3.9 x 3.4 cm. Morphy’s Saturday, Nov. 8, 2014 Mineral Auction will commence at 9 a.m. Eastern time. All forms of bidding will be available, including in person at the gallery, by phone, absentee or live via the Internet through Morphy Live, LiveAuctioneers, Proxibid or Invaluable. Preview the entire auction inventory daily from 9 a.m. to 4 p.m. On auction day, there will be a one-hour preview from 8-9 a.m. Morphy Auctions is located at 2000 N. Reading Road in Denver, PA 17517. For additional information on any item in the sale or to reserve a phone line for live bidding on auction day, call 717-335-3435 or email info@morphyauctions.com.